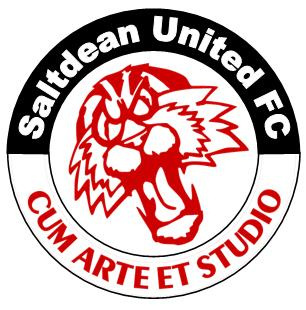 Saltdean United are a club that have always had high ambitions both on and off the field and not so long ago were one of the leading clubs in Sussex. Originally formed in 1966, the club started life in the local Brighton Saturday League and gradually moved up their divisional structure over the years. Following the acquisition of their current ground, Hill Park the club joined Division 3 of the Sussex County League in 1984/85, finishing third in its first season. Promotion to Division 2 and senior football came in 1988/89 when they finished champions. The next seven seasons were spent there, with the "Tigers" eventually winning Division 2 in 1995/96 with games to spare. Promotion to Division 1 saw the clubhouse completely revamped and floodlights installed – the first Sussex County League club to invest in the impressive Musco system from the USA - still one of the best lighting systems in the County League today. With financial support behind them, the "Tigers" quickly established themselves as a force in the top division, finishing 4th in their inaugural season and reaching the final of the Sussex Senior Cup; losing to St. Leonards by the odd goal. In 1998/99 the club finished 2nd, and 3rd in 1999/2000 when they also lifted the John O'Hara Cup, beating Burgess Hill Town after extra time in a thrilling match at Three Bridges. Over the next two seasons however, the club's fortunes changed dramatically. Proposed development work to Hill Park failed to materialise; funding was substantially reduced, and this, combined with significant changes both on and off the pitch, saw the Tigers fall to 16th position, with relegation to Division 2 following in 2001/02. This was the first time in the club's history that it had suffered relegation. Despite finishing in 5th position in their first season back in Division 2, this could not be sustained and the following seasons saw the club finish consistently in the lower half of the division. They were relegated to Division 3 at the end of 2006/07 where they were to spend the next five seasons. 2010/11 saw the 1st XI lift the Division 3 Challenge Cup and in 2011/12 they maintained their momentum by winning the Vernon Wentworth Cup and gaining promotion back into Division 2 and senior football. That season also saw the 2nd XI come runners up in their league, gaining promotion to the SCFL Reserve Section Premier Division – quite a feat for a Division 3 reserve team! After consolidating their position over the next two seasons they were crowned Reserve Section Premier Division Champions at the end of the 2013-14 season and won the Reserve Section Cup for the first time that same year. Saltdean United continue to run youth teams for all ages and in 2005 were awarded FA Charter Standard status in recognition of the club's organisation and how it is run at all levels; particularly in relation to youth football. Work on the creation of a third pitch Hill Park for mini-soccer was completed in time for the commencement of the 2009/10 season.